Plastic waste looks set to remain high on the sustainability agenda for 2019, with a new partnership of more than 25 international businesses set up to address the problem. The Alliance to End Plastic Waste (AEPW) was launched on Wednesday (16 January) and brings together transnational corporations from across the plastics value chain, including oil giants Shell and Total, consumer goods group Procter & Gamble and recycling companies Veolia and Suez. ‘Plastics in the environment’ are the key focus of the AEPW, especially ocean plastics, and the signatories are aiming to help cities around the world develop and improve their waste management systems – especially along the rivers through which the majority of the world’s marine plastic waste enters the oceans. Over the next five years, a total of $1 billion (£778 million) has been committed by members for investment in recycling infrastructure, research and waste clean-up. “Everyone agrees that plastic waste does not belong in our oceans or anywhere in the environment,” commented David Taylor, Chair of the AEPW and President and Chief Executive of Procter & Gamble. “This is a complex and serious global challenge that calls for swift action and strong leadership. This new alliance is the most comprehensive effort to date to end plastic waste in the environment. Since the BBC’s Blue Planet II brought the issue of ocean plastics into the public eye, concern about plastic waste has continued to rise, with single-use plastics coming into the firing line. In the UK and around the world, governments have begun to take action on the material in varying ways: the European Commission has proposed a ban on some single-use plastics; the Indian Government is pledging to cut out all single-use plastics by 2022; and a growing number of countries are initiating bans or charges on plastic bags. Businesses are also increasingly taking action independent of government legislation. There is a growing number of industry alliances being launched, with businesses coming together in different guises to tackle the issue. The UK Plastics Pact was one of the first cross-industry collaborations to be launched, back in April 2018. The Pact brings together more than 100 retailers, producers, reprocessors and trade bodies under a commitment to eliminate ‘problematic or unnecessary’ single-use plastic packaging by 2025. In October, the New Plastics Economy Global Commitment was launched. An international agreement led by the circular economy organisation the Ellen MacArthur Foundation, the Global Commitment brings together signatories responsible for 20 per cent of all plastic packaging produced worldwide. 2025 is again the date by which members have pledged to achieve their goals, including making all plastic packaging easily recyclable, reusable or compostable. The AEPW is the first partnership with a focus on improving recycling infrastructure as opposed to making individual plastic products easier to recycle. It has long been acknowledged that much of the plastic waste that enters the oceans comes from countries with inadequate waste management systems: according to a study by the Helmholtz Centre for Environmental Research, between 88-92 per cent of all plastic entering the marine environment comes from ten rivers in Africa and Asia. 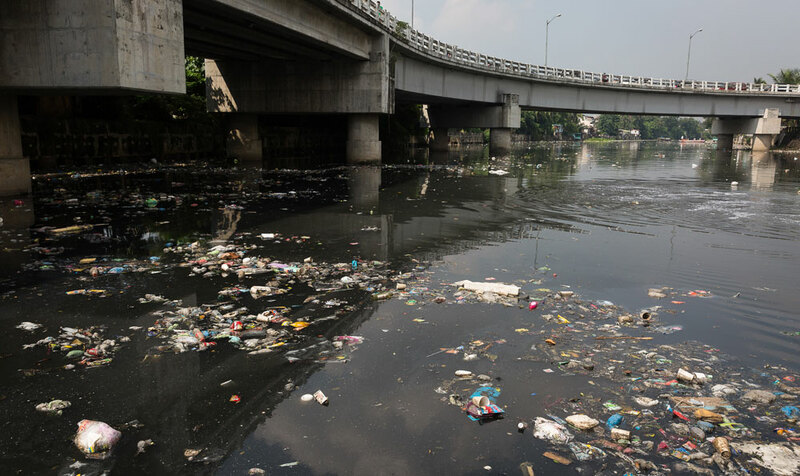 Major cities concentrated along these rivers (such as the Yangtze in China and the Ganges in India) are experiencing population growth and rapid economic development at a pace outstripping the development of recycling and waste collection systems. In addition, added pressure on these cities and systems comes from the amount of waste imported from abroad, including from the UK, Europe and the United States. Until last year, China was the world’s largest importer of waste for recycling – but in January 2018 it was announced that the country was banning the import of 24 grades of solid waste, including post-consumer plastic. For many in the UK, this was the first time they became aware of how much of the UK’s plastic waste is sent abroad. Following this, a report from the National Audit Office revealed that the UK’s packaging recycling rates could be lower than reported, with no proper evidence of what actually happens to material sent overseas for recycling. However, the presence of a number of fossil fuel companies on the list of signatories for the AEPW has been noted by environmental campaigners. Graham Forbes, Global Plastics Project Leader, described the alliance as “a desperate attempt from corporate polluters to maintain the status quo on plastics,” with its focus on keeping plastics out of the environment rather than reducing their consumption in the first place. 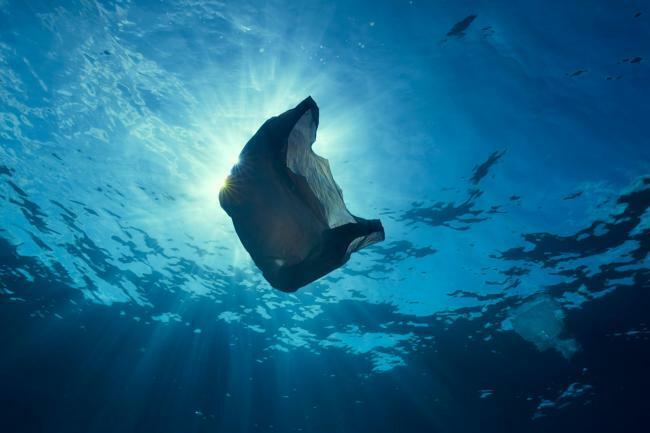 The Ellen MacArthur Foundation has unveiled a new global commitment to eradicate plastic waste and pollution at its source.